I stumbled across this book last week at one of those psychologically optimal moments, you know? I think I needed someone to tell me to slow down a little. 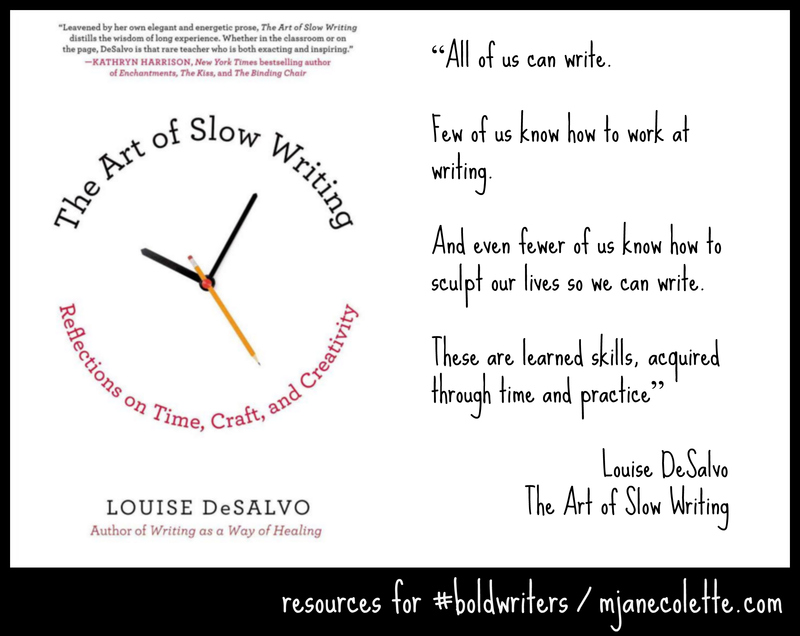 It’s a well-put together, well-researched, not-too-didactic piece that discusses various writers’ approaches to their work. Worth picking up and leafing through… or reading very carefully, depending on your mood. I’m reading it slowly and methodically, between hits of Sylvia Plath, Sufi poets, Erich Fromm and Salman Rushdie… from which you can infer that it’s not exactly not-put-downable–so yes, a bit of a textbook feel to it at times–but there is a lot of of really excellent content inside, so I’m willing to stay with it even when it does not entrance. But, I need to abandon it for some poetry in-between.